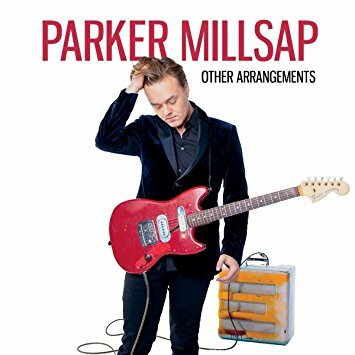 Over the course of four records, Oklahoma native Parker Millsap has managed to deliver four distinctly remarkable albums without retreading much on his own musical ground. His debut, Palisade, is stripped down Americana; while Millsap dug deep into the evangelic religious childhood for a modern take on gospel and folk with his self-titled sophomore effort; 2016’s Very Last Day found him investing in a more Blues-heavy sound. And, in the simplest of terms, Other Arrangements is Millsap’s “rock record”. For the first time, Millsap plugs in and sticks mainly to electric guitar on most of the tracks. The voice is still distinctly Millsaps’, it’s just that the music is a little faster and louder for the most part. Despite being in his mid-20s, his influences here are still more obscure than most of his peers, with nods to ‘70s AM rock versus the typical ‘90s bands that are serving as the guide posts for most current rock outfits. The album kicks off with the remarkable “Fine Line,” a raucous fight between Millsap’s guitar and Daniel Foulks ferocious fiddle playing. The album also includes calmer moments, like the beautifully serene “Singing to Me” or the faultless title track and elsewhere it takes a brief Blues route on “Tell Me”. Even though Millsap has a tendency to get feistier on Other Arrangements, he never gets lax with his lyrical duties, turning in another perfect collection of character sketches and three-minute philosophy lessons. It may not be exactly what you’d expect to hear from Millsap, but none of his records so far have stuck to a specific template. It’s simply a stellar album from start to finish.